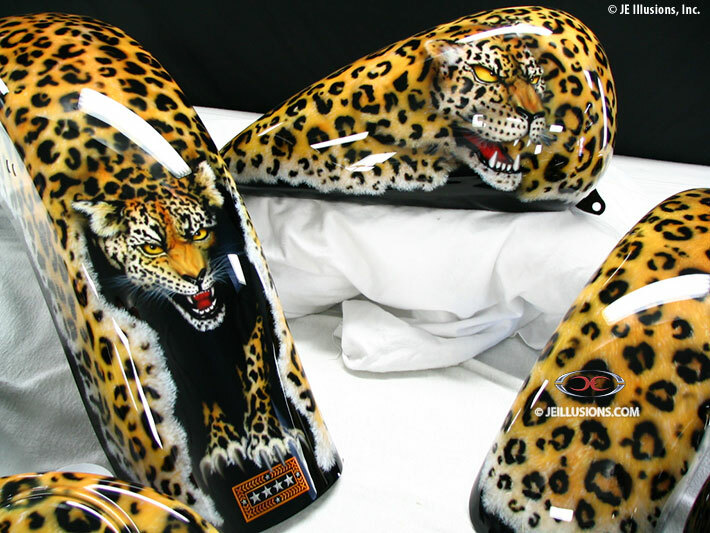 The look of these motorcycle parts was to change into a leopard pelt. Each minute detail was airbrushed to each individual hair to create realism. 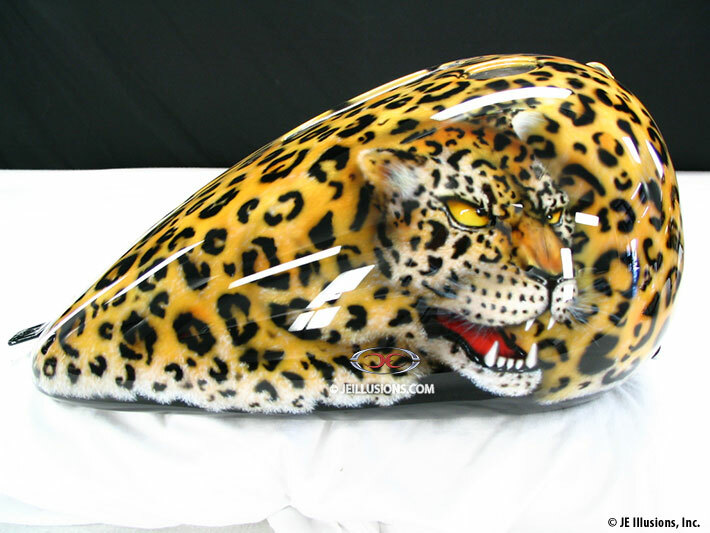 A detailed leopard head illustration is located on both sides of the tank and also on the back fender. Custom logos were then added along with the customer's 4 Star Rank Emblem.